SOAP is an acronym for Simple Object Access Protocol. It is an XML-based messaging protocol for exchanging information among computers. It defines a set of rules for structuring messages that can be used for simple one-way messaging but is particularly useful for performing Remote Procedure Call (RPC), request-response dialogues. It is not tied to any particular transport protocol though HTTP and SMTP are popular. Nor is it tied to any particular operating system or programming language so theoretically the clients and servers in these dialogues can be running on any platform and written in any language as long as they can formulate and understand SOAP messages. Since Web protocols are installed and available for use by all major operating system platforms, HTTP and XML provide an at-hand solution that allows programs running under different operating systems in a network to communicate with each other. SOAP specifies exactly how to encode an HTTP header and an XML file so that a program in one computer can call a program in another computer and pass along information. SOAP also specifies how the called program can return a response. Although SOAP can be used in a variety of messaging systems and can be delivered via a variety of transport protocols, the initial focus of SOAP is remote procedure calls transported via HTTP. Other frameworks including CORBA, DCOM, and Java RMI provide similar functionality to SOAP, but SOAP messages are written entirely in XML and are therefore uniquely platform and language-independent. SOAP calls are much more likely to get through firewall servers, since HTTP is typically Port 80 compliant, where other calls may be blocked for security reasons. Since HTTP requests are usually allowed through firewalls, programs using SOAP to communicate with programs anywhere. Though SOAP is platform and language independent, but it is typically much slower than other types of middleware standards. This due to the fact that SOAP uses a verbose XML format. SOAP is typically limited to pooling, and not event notifications, when leveraging HTTP for transport. 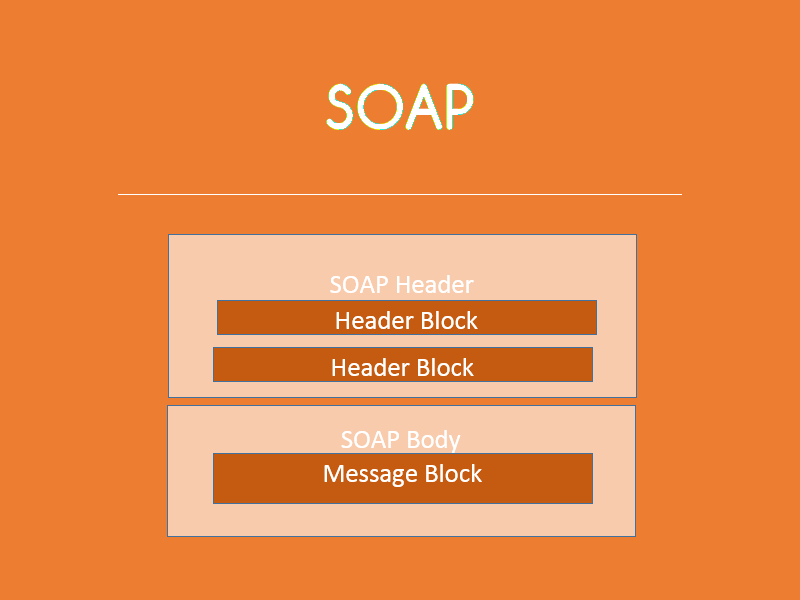 SOAP has different levels of support, depending upon the programming language supported. For example, SOAP support within Python and PHP is not as strong as it is within Java and .NET.